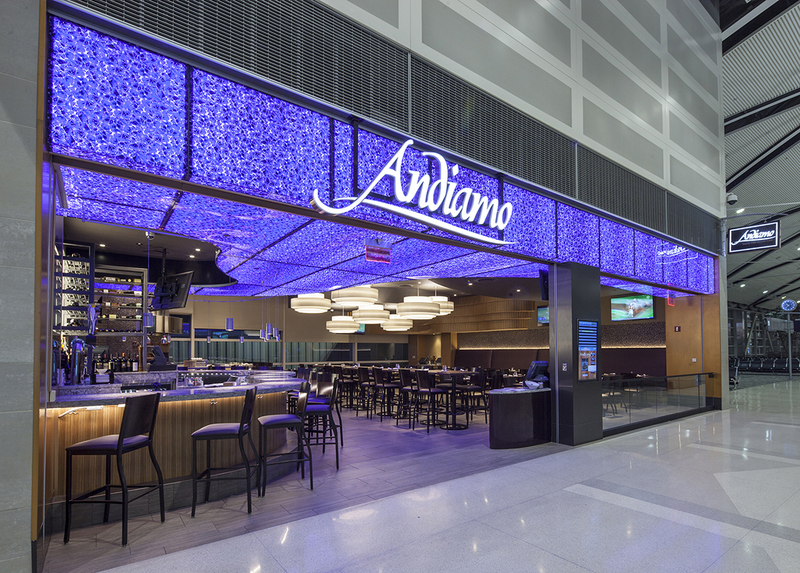 Andiamo, the premier and award-winning Italian restaurant in the Detroit area, has been brought to life at Detroit Metropolitan Airport, featuring made-to-order pizza with an open hearth oven and chefs preparing pizza in plain view. Andiamo’s signature sauce and pasta, sandwiches and Panini are becoming favorites of many traveling guests. The restaurant strives to provide an authentic Italian dining experience in an environment that not only brings you back to Italy, but prepares you for your next travel adventure.